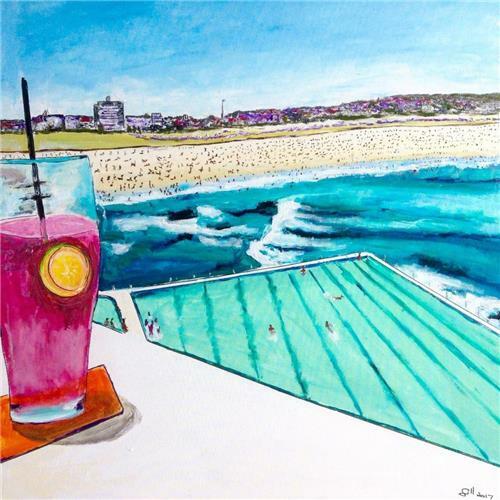 Bondi is one of my favorite subjects to paint because of the colour and energy. Bondi is a combination of the old and the new and is a mecca for tourists worldwide. An original acrylic and ink painting on gallery wrapped canvas.